Liebherr Wine Cabinet - Additional Wooden pull-out shelf for GrandCru model WTes5872 for all your wine bottle needs. The wooden shelves are handcrafted from natural untreated wood and are the perfect for your wine bottle storage. If you position the bottles in opposite directions, this enables full use of the shelf's storage capacity and offers a clear view of the bottles. The shelves are designed to safely hold Bordeaux bottles. The clip-on labelling system allows you to add your labelled cards, providing a quick overview of your wine stock. 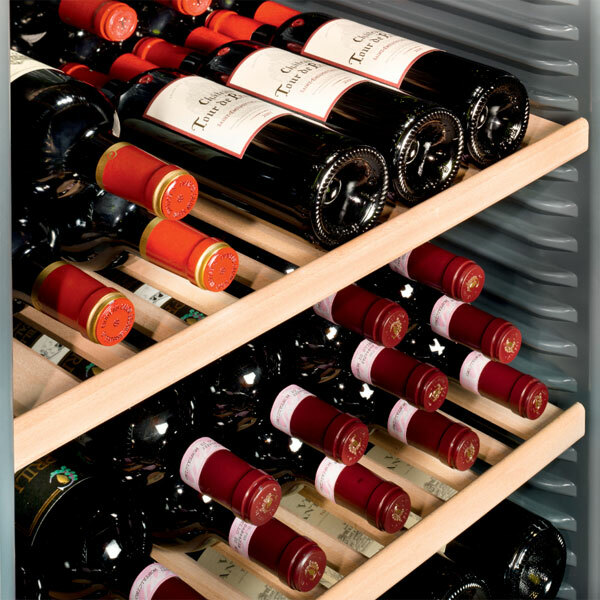 Order your additional shelf online today to complete your Liebherr wine cabinet. If you require a shelf for a different Liebherr model please browse our Liebherr Accessories.